Dancers with the Black Iris Project. Photo by Matthew Murphy. 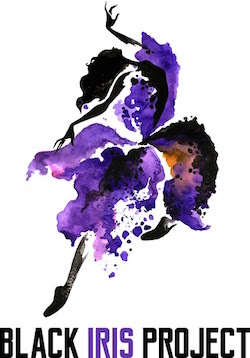 McQueen founded Black Iris Project, a contemporary ballet initiative involving nine artistic collaborators and a group of elite dancers, in order to provide opportunity for black artists to create new works and to create them with the voice of the black perspective. 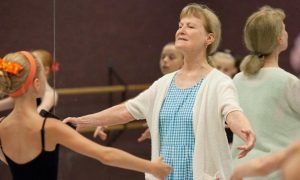 With the recent re-ignition of Misty Copeland’s celebrity both within and outside of the ballet world, talk of color within that world has exploded as well. Ballet has, for many years, been stereotypically white, European, aristocratic…but artists like McQueen don’t see it in that mold anymore. If you aren’t familiar yet with McQueen, here is a quick run-down. He trained as a scholarship recipient in the schools of American Ballet Theatre, San Francisco Ballet and Alonzo King’s LINES Ballet, and holds a BFA from the Ailey School/Fordham University. As a performer, he has worked in a sizable list of regional theater productions, the Broadway national tours of Wicked and The Color Purple, and multiple productions with the Metropolitan Opera. 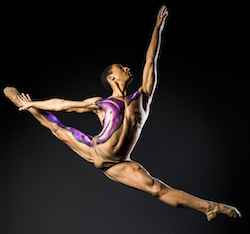 Since turning his focus more toward choreography, McQueen has received several awards, including the 2013 Joffrey Ballet of Chicago’s Choreographers of Color Award. Not coming from one of those major companies himself, McQueen couldn’t find the inroads that could help him attain work, particularly at the more elite level. And if there aren’t many artists like him, then it would be that much harder to find a mentor on whom he could model his path. This raises the point that maybe this is really the problem with ballet, that if there are not very many black ballet dancers then we certainly aren’t going to end up with very many black choreographers. And, other than a wish for natural diversity, this matters greatly because it limits the voice with which ballets are made. And if ballet doesn’t speak to you with a voice you can understand, you are probably not going to find it appealing, hence the catch-22 that alienates black audiences and black artists alike. Seeing artists of color, like Copeland, in major roles is a huge inspiration. As McQueen points out, however, the ballet world needs to start with a different approach, and the Black Iris Project aims to take it there. Harper Watters of the Black Iris Project. Photo by Matthew Murphy. Those dancers are drawn from some of the best ballet companies in America, and McQueen is quick to point out that his project is just that, a project that feeds the dancers new opportunities with the intention of dropping them back off at their home companies. It was critical to McQueen that he leave the dancers where they were – in companies where, more likely than not, they found themselves to be one of few “token” black dancers. 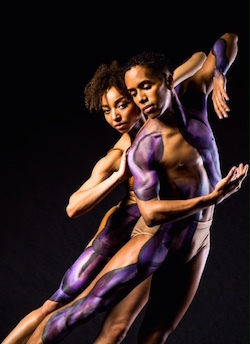 Keep your eyes open for Black Iris Project at New York Live Arts (NYC) at the end of July 2016, with preview performances and outreach leading up to it, and performances at the Kennedy Center (DC) in April 2017, participating in a program curated by Misty Copeland herself. Photo (top): Stephanie Williams of the Black Iris Project. Photo by Matthew Murphy.